Written by Janet Choi on October 8, 2015 . First, a quick exercise to compare the power of email against Twitter. 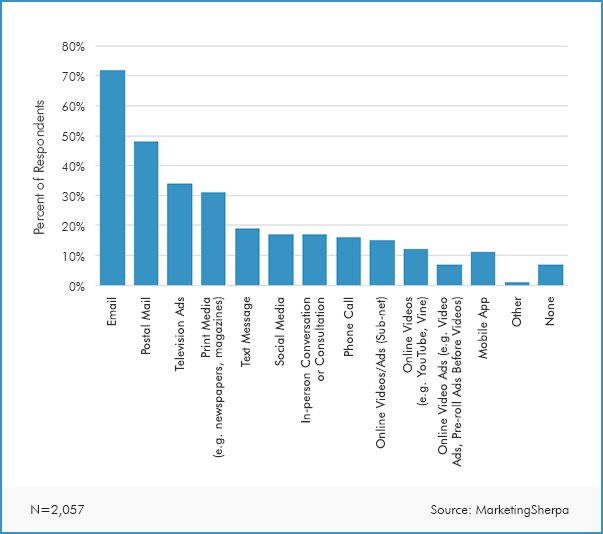 According to MailChimp, click rates for emails generally fall between 2.69 and 3.06%. 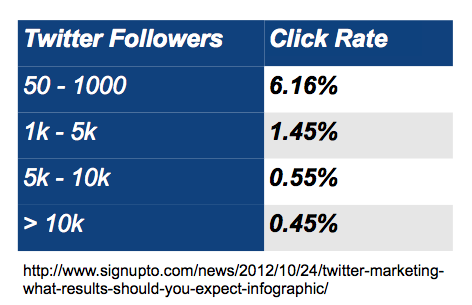 Compare that to click rates on Twitter, which average out to 1.64%. That number varies greatly according to the number of followers you have: If we compare the expected results for 5000 email subscribers and 5000 Twitter followers, we get 140 clicks versus 27.5 clicks. But clicks, as you know, aren’t the same thing as cold hard conversions. 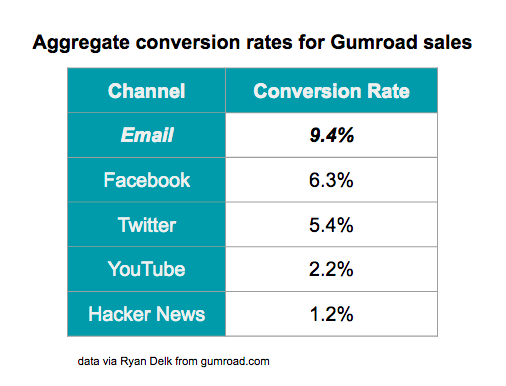 Here’s a breakdown of aggregate conversion rates across different channels for sales through Gumroad, a platform enabling people to sell directly to their audience: Email wins handily when it comes to conversions. In fact, “Gumroad sellers who use email marketing make 3x as much in a product launch as those who don’t,” according to Ryan Delk who ran business development and growth there. Applying these conversion rates to our 5000 email subscribers vs. Twitter followers example, we get 13 email sales and 1.5 Twitter sales. Nathan Barry, from ConvertKit, went through a similar exercise, applying Gumroad’s conversion rates and his actual clickthrough rates (very healthy numbers: 29.5% for email and 3.1% for Twitter). Assuming we’re comparing 1000 email subscribers versus 1000 Twitter followers, here are his results: Nathan concludes: “an email subscriber is worth roughly 15x as much as a Twitter follower!” Of course, these examples aren’t true-to-life, with customers making purchases after repeated interactions and through different paths. But taking a minute to look at these simple numbers is pretty illuminating. And more than numbers of sales, consider their value as well. McKinsey reports that while email conversion rates are estimated to be at least 3x the rates of social media — the value of those conversion purchases are also a higher 17% value. There are 3 basic reasons why email works so well when it comes to marketing, sales, and growing a business. 1. Email gives control to both sender and recipient. For many users, social media has become impersonal. Facebook algorithmically curates what we see, while Twitter overwhelms us with a firehose of fast-moving content, and LinkedIn is, well, LinkedIn. The most important part of the email newsletter’s appeal is that it still feels intimate—even if you are sending emails to total strangers. Email is personal and it scales. If that personal/scalability duality is the jab, the final cross is the control given to both recipient and sender. 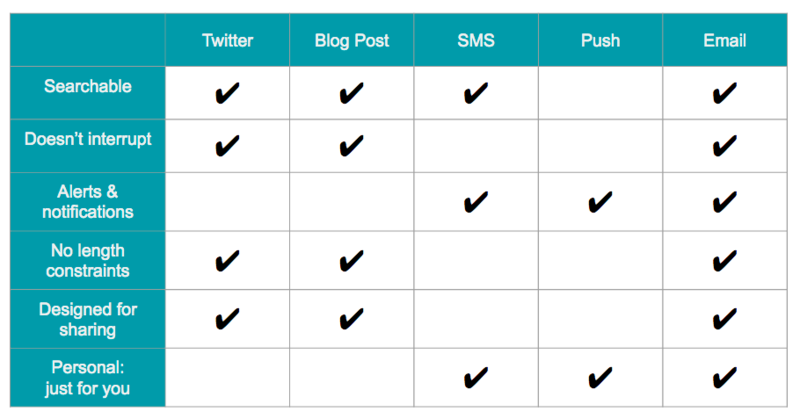 For senders, the ability to communicate at scale is a power. When done with a focus on relevance, personalization, and probably a dash of automation — what in less advanced hands would be an impersonal, one-to-many blaring broadcast becomes an impactful one-to-one communication. (Just consider the effectiveness of transactional emails!) For recipients: while email may be delivered close to real-time, the way it’s consumed is asynchronous. The delivery of the message doesn’t interrupt you. That’s the point of an inbox — to function as a repository, rather than a stream or feed (though it can feel that way), until you’re ready to deal with it. 3. Email is great for building customer relationships. You can use email to communicate with people at any stage in the customer lifecycle, from acquisition to happy customer and even afterwards. It’s about sustaining good communication over time, developing and deepening trust and loyalty. After all, you’re building relationships with people. What does this mean for your emails? How you do it matters. Instead of the old-school method of willy-nilly email blasts — send thoughtful, timely, helpful, and even delightful messages. Prioritize relevance and context — connecting your goals with those of your readers. Send lifecycle emails, which are impactful exactly because they’re tied to relationships and your product. Send newsletters that provide value to build trust and maintain connections with your audience. Segment your recipients to ensure you’re sending the right message at the right time. 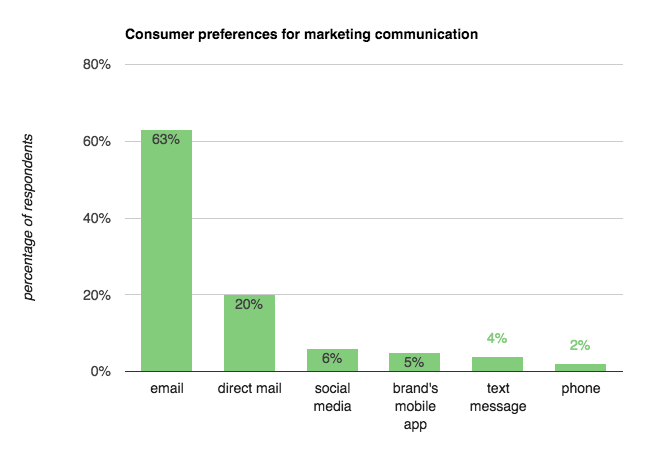 Consider email within your brand’s whole content and communication ecosystem. It’s not the only channel at your disposal and works in concert with everything else.